Compare Versions: What’s New in CC 2015 Release vs. CS6 & Older? There are 20 different desktop tools included in Creative Cloud, so the easiest way to look at it is by product… For example, Photoshop CC 2015 contains all of the 3D functions that were previously only available in the PS ‘Extended’ edition – and overall is packed with new features for designers, photographers and digital artists – something for everyone. You’ll find the details on these additions in the table below. Also rolling out this week are additional technologies like Adobe Stock, which offers over 130 million photos, images and illustrations smoothly integrated with the CC toolset – and CreativeSync, which ensures that your files, fonts, design assets, settings, and more all instantly appear in your workflow wherever you need them, so you can start your creative work on any device and seamlessly pick it up on another. A variety of free new mobile apps have also been released for iOS and Android, which work together with the cloud and the desktop applications. And other top tools and services like Lightroom 6/CC (desktop & mobile), Typekit, Behance ProSite, Creative Cloud Market, and Acrobat DC Pro continue to be included in Creative Cloud 2015 as well. If you want to try any of the CC apps out, then just sign up for a free level of Creative Cloud membership to gain access. Alternatively, all of the free trials are also available for immediate direct download. For learning how to best use the products, there are plenty of free PDF manuals available as well as free tutorial videos to get you going. There are even dozens of completely free books that you can download for all of the most popular applica­tions. Typically you can install and use the CC software on up to two computers, including both a PC and a Mac. Further, CC programs generally can read and save or export back to the older CS6 file formats in most cases (or even CS5, CS4, or CS3). Also don’t forget that all CC products include ongoing upgrades at no extra cost, so you can always be running the latest and greatest version available. It’s also important to know that the system requirements for Mac have changed meaningfully… The CC 2015 release requires Mac OS X 10.9 (“Mavericks”) or higher. If you’re not running that yet, then you can get a free upgrade from Apple to the latest version of OS X (10.10). For Windows, there are no big changes to the specs or requirements from CC 2014. Adobe says this is their biggest software release since CS6 in spring 2012, so for more details on the essentials and differences don’t miss our CC 2015 Review Guide. Hi, I am over 50 disabled and paralyzed Mech. engineer. I love to study and to learn, can you please send me Dreamweaver cs6 and Photoshop tutorial. Sorry but I can not pay. 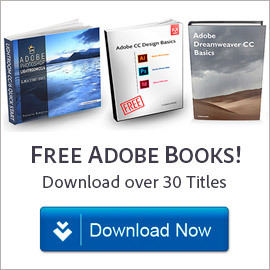 For learning how to best use the software on your own, we also have plenty of free Adobe books plus many hours of free tutorials and lots of CS6 video lessons you can use. PS – Love Iceland, it is a stunningly gorgeous country with wonderful people! I can’t afford the whole CC idea. AMEN! Well, many customers say the opposite – that they can afford CC plans from $10 or $20 a month, rather than having to pay $1000-2000 upfront to buy CS6! All CC products also include free ongoing upgrades, versus static software with CS. We are installing this on several of the contracted pc’s for the State of Ct DOT. Can the files be saved locally to the hard drive or do all the files have to be saved to the cloud? from what I have read, only the user that logs into the pc can see his/her files – unless they share their files with others? 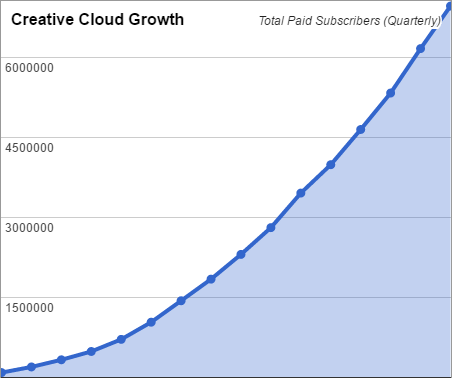 Put simply, using Adobe CC is not true “cloud computing,”, despite the name. Photoshop, Illustrator, etc. are desktop apps that run locally on your computer, just like before. You don’t have to upload, share, or store a single file online unless that’s what you want! And in fact it’s easier to store your work offline than online. Finally, to answer your last question – just like any computer, your local files are only available to others if you decide to share them in some fashion… and that can be via the online storage provided with Creative Cloud, or using some other connected facility like Dropbox or shared storage on your network. Are there any benefits using Win 7 Pro over Win 7 Home Premium 64 bit on CC2015? Hi Vince, not that we’re aware of, but you didn’t specify which of the many CC application(s) you are going to be using… In fact, the minimum specifications for each tool is different. See the CC System Requirements for complete platform information. 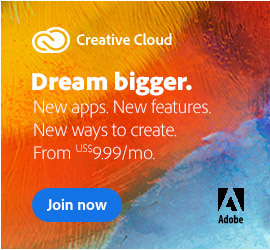 I live in Nigeria and unfortunately Nigeria like many other african countries are not permitted into the creative cloud monthly payment option. Please do you have details of any reseller that I can buy the CC2015 full suite of Photoshop from? Welcome Kazeem, thank you for your comment. Please see our answer above to Sam, who asked a similar question. Adobe turned the design industry into the oil industry. While I understand Adobe’s need to survive, I think Adobe CC creates a very BIG moral issue. After a graphic designer/web designer obtains a four year degree, the individual becomes stuck in a continuous yearly subscription. If a graphic designer does not buy a yearly subscription, the individual’s skills will become outdated. 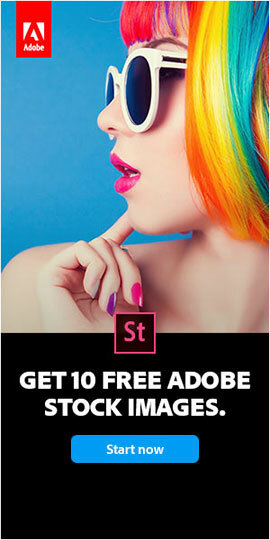 Since Adobe does not have any viable competition, the company is able to tap designers as if they are oil. I didn’t graduate from college, so I can see my field of study become hijacked. When you go to the art store, the manufacture of pens, paper, and ink doesn’t require a subscription fee. Adobe has turned a time honored field of study into an economic conundrum. I only need two to three programs. Why am I paying for all of them? 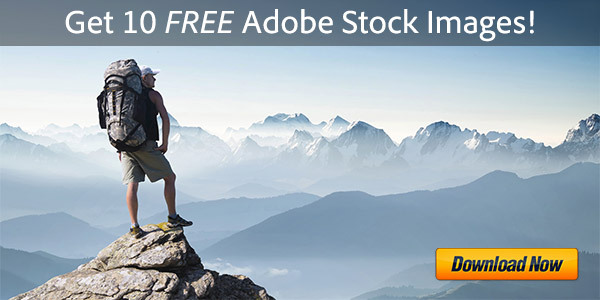 Adobe needs to feel the pressure of competition. Thanks for sharing your thoughts Marcus, but nothing has changed there. In the old days when you needed 2-3 tools, you bought a CS bundle called a suite – which included more programs than two or three (and technically you also paid for those). In both situations, then and now, at least you have the opportunity to expand your skills and learn new products that come with what you bought. Also, it was just as easy for a graphic designer’s skills to become outdated if they did not frequently update their CS software, which previously cost more money each time with each upgrade. Now with CC, all ongoing upgrades are always included, so everyone can be running the latest-and-greatest versions. Finally, it’s arguably easier for designers just to get a foot in the door with all the industry-leading tools – because there is no upfront cost with CC, versus having to pay thousands of dollars for static programs as it used to be with CS6. I just want to do one thing: Convert my old (2001) flash interactive animations into HTML5. Anyway, I think I now understand the difference – CS6 is a one-off payment / CC is a subscription service. …My mind is now officially BLOWN. So I’m left really confused… Can no one just tell me how to convert my old Flash Files to HTML5? 1) Download the latest CC 2015 version of Flash Pro (the direct download links are here). Note it must be CC and not CS6; there is no mechanism for converting one into the other. I’m pretty new to all this – all I need are the very latest versions of Photoshop, Lightroom and Premiere Pro. What would be my best, most affordable way to get those? I work in education and have heard about discounts. 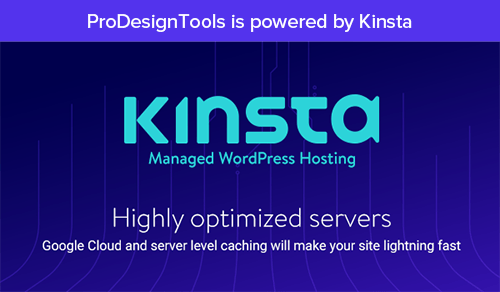 And yes, that includes the very latest releases of the applications you mentioned (together with other leading creative tools & services) – plus ongoing upgrades as soon as they are available. I’m working in my finals for graphic designs and im stuck in Flash Professional. How can i download Flash Professional for CS6 and not CC? Hey Sandra, see our CS6 direct download links, if the free trial helps… But for purchase, Adobe ceased selling CS6 on their website last year. The reason is because it’s nearly 4 years old now and increasingly unsupported; they stopped releasing updates for it some time ago as the newer CC quickly grew and took over. With the CS6 software EOL and end of support, there are no updates, no bug fixes, and no guarantees it will run on future operating systems. So at this point we’ve stopped recommending it as a good or viable option going forward. I spend a lot of time in different countries, and would like to know if my Adobe ID, and my CC produkts will work no matter where in the world i am, or of it only works in the country that I am registered to?? Can I Use Creative Cloud While Traveling or Living Abroad? @ProDesignTools until one day, when they lose their income, can’t make monthly payments and realize their software stops working – then their tune changes. i can lease a car for 2 years, and when the lease is up, i can choose to buy the car and keep it if i wish. with the CC program, you can’t convert back to a perpetual license. It’s true that there is no “rent-to-buy” option with CC. However, if you stop or cancel your subscription then there are still numerous options that you have, even if you don’t get to keep the full software forever after your subscription ends. @ProDesignTools you’re not really listening. what people are saying is that the payment is perpetual. there is no exit path where you can keep the current versions of what you use. over a life course, you pay many times over what you would with a perpetual license. That may be true for some people, but certainly not everyone. It could be the case for someone who bought or upgraded infrequently in the past, but the math depends entirely on each customer’s purchasing habits and upgrade frequency. For example, the CC Photography Bundle‘s breakeven point is over 10 years compared to the old pricing ($1,148 paid upfront) – and that’s not counting a single upgrade! Adobe’s best customers say CC is a better deal. Besides, nothing is forever in technology without active, ongoing support. Hardware and software evolve quickly, then old programs aren’t supported and eventually stop working properly on newer computers or operating systems (especially Mac OS) – so for most people, static software has a practical usable lifetime. CS6 is already almost 4 years old now, and unsupported. That will never happen with CC obviously because it will always be up-to-date and upgraded for the latest platforms and with the best new features and evolving technologies… And if you happen to be using an older operating system, then as a CC subscriber you also have full access and use of previous Adobe releases going back to CS6, if you want or need to. But as far as customer uptake and market adoption/acceptance of Adobe CC since its arrival, the results speak for themselves. Thanks for the article. 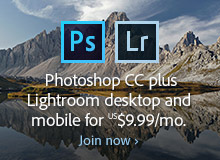 I had one question – does Adobe CC include all the same apps that CS6 did? Hi Sofia – yes, it does – but has the latest versions of those apps, with all ongoing updates/upgrades included in your membership. Plus there are new tools you get that were never included in CS6 such as Muse, Fuse, and Edge – together with services like Typekit, Behance, Adobe Portfolio, Market Assets, and more. 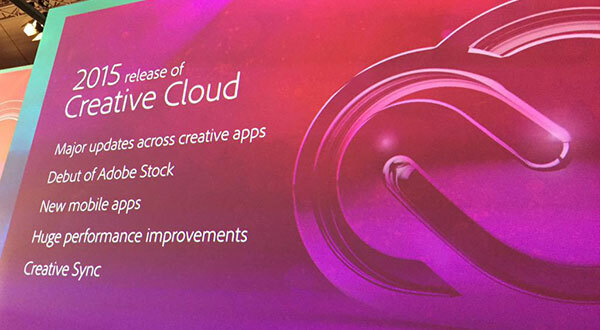 Here’s a list of all the desktop apps you get with the Complete Creative Cloud. In addition, with a CC subscription you can even go back and download/install and use any CS6 tool that you wish, if you ever want or need to… That’s because Adobe keeps a permanent archive of older releases available and accessible to subscribers. Thanks for your question and hope that answers it! is there a way to get photoshop and lightroom cs6? Please see our previous response to Sandra above for the answer to that. Note that with a CC subscription you can go back and download/install and use any CS6 tool that you wish, if you want or need to… That’s because Adobe keeps a permanent archive of older releases available and accessible to Creative Cloud subscribers. Yes, that’s because all the newer CC desktop tools are sold via monthly subscription, rather than paying hundreds or even thousands of dollars upfront like it used to be with CS6… So it’s much more affordable to get started. Well, your pricing comparison is off. There was never any CS6 suite that you could buy for as low as $1,000… The comparable suite to what you get now in Creative Cloud was CS6 Master Collection – which cost $2,599 at the time. And of course, upgrades always cost extra with the old model. Meanwhile, CC gives you more still than the Master Collection ever did. If you want less than the entire collection of creative tools, then there’s always the CC Single-App option(s) instead, including the very popular $10/mo. Photography Plan with Photoshop + Lightroom. What people often forget is that software and technology don’t stand still. So while you think you might “own something” with the old CS licensing model, nothing is “forever” in technology without active, ongoing support… Hardware and software evolve quickly, then old programs aren’t supported and eventually stop working properly on newer computers or operating systems (especially Mac OS; Apple is notorious for breaking backwards compatibility) – so for most people, static software has a practical usable lifetime. CS6 is already reaching that point now. Adobe ceased selling CS6 standalone on their website last year. The reason is because it’s nearly 4 years old now (from spring 2012) and increasingly unsupported; they stopped releasing updates for it last summer as the newer CC rapidly grew and took over. With the CS6 software EOL and end of support, there are no updates, no bug fixes, and no guarantees it will run on future operating systems. So at this point we’ve stopped recommending it as a good or viable option going forward. By contrast, with CC all ongoing upgrades, compatibility updates and product additions are always included – so becoming obsolete will never happen. The monthly payments are also more budget-friendly in the new model than in the old model – where the software used to cost many hundreds or often thousands of dollars upfront, and never evolved. I have a question, is it a big jump from cc 2014 to cc 2015?? Programs such as Photoshop, Lightroom, Aftereffects, Premiere, Illustrator, and Audition. Is upgrading super fantastic and all that I SHOULD really NEED to upgrade, when compared to jumping from cs6 to cc 2014? Hey Vinnie, you can see pages summarizing the key differences for all the tools you’re interested in linked from our post above… But yes, there were some major new features and other improvements – including performance boosts – between CC 2014 vs. CC 2015. If you want, just download the free CC 2015 trials and see for yourself… It’s easy enough to do. You can install and run them on the same computer as any earlier version of CC (or CS), if desired. Forgot the most important thing. All CC subscribers are entitled to use the latest-and-greatest version available! Ongoing upgrades to your applications are always included in your subscription. So naturally there is no cost to upgrade from CC 2014 to CC 2015. It’s not like the old days, where you had to weigh each and every new feature or improvement to decide about upgrading. The company I work for recently updated to Adobe CC from CS5. I was pumped about the upgrade. Now It seems that I’m not so pumped because of how slow the Adobe CC works. We are working on the newest IMAC 5K retina displays with 2TB and some of us have 16GB of ram and others have been upgraded to 32GB of ram. All of us are experiencing the same lagging slow response of all the programs. We mainly use AI, INDD, PS, and BR. Is there a solution to this problem please any feedback would be helpful. We do not use the Cloud Library or any of the stock photo options either. Not sure Tom, we’ve never heard anything like that – nor have we ever had any performance issues with CC, ever. In general, it’s significantly faster than CS6 for many operations, and saves a lot of time in this regard. Are you certain your software is fully updated to the latest versions available? Adobe! Why are you letting a dead man – Steve Jobs – kill Flash to take on a bunch of crap like HTML5 which was not needed in the first place because the Flash Player works just fine on all platforms. Apple is like the Giant Goliath, “the bigger they are, the harder they fall.” Don’t let them bully you. People are more and more tired of their overpriced, stupid micro-screen watches, low hard drive memory pads, and overpriced music machines. It is time for you to stand up for yourself. Let the users of PC-based products know that they will receive ALL of the rich animation and movie content available for artists throughout the world because they use products that are not made by Apple. Then let Apple users know that they are paying high prices to be CONTROLLED by a company that is supposed to need them, not them being subservient to a company, APPLE. Put out images of an apple becoming rotten. For nobody wants to eat ROTTEN apples, which is what Apple Computers are fast becoming. Do not go through all of this nonsense of embracing HTML5 because some tyrant, greedy, control monster like Steve Jobs decided he did not like it. We, your customers, your developers, your designers loved it. Look at all to the confusion you are creating by embracing this non-sense on his part. As for Google, if they want to follow Jobs’ lead, they can go down, too. There are many web domains that can supplant these useless Giants. So do not ruin your program for that idiot. He was and his company is a power-hungry giant that is past its usefulness for all of us in the creative world. Greed never works, never has, never will. Thanks for this sharing this information. I have just started to create my own graphics, mainly posters and advertisements. I was looking for software to do this, I have been using Indesign, which I have found brilliant for a newbie like me. I first downloaded a free trial from here, I recommend it to anyone thinking of using the software. I have been using CS5 and have numerous books on that version of Photoshop. Will they feel relevant if I decide to move to CC 2015? Or will I need to upgrade my books, too. Hey John, most of the main concepts will still be applicable, although the user interface has been upgraded and modernized since that time… Also, a lot of new features have been added since CS5. Get Premium 13-Hour Adobe Photoshop Training Course – Free! Hi Erling, I think you must go to YouTube or Vimeo. Because these are the places that are what you expected. What's the Difference: New Adobe CC 2015 vs. CS6, CS5, CS4, CS3?